The director of Montgomery County's Automated Traffic Enforcement programs, Maurice Nelson, is taking a position to lead Brekford Corporation's new Automated Traffic Enforcement Program. 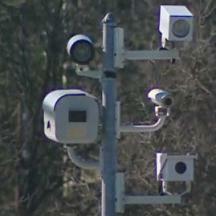 Brekford entered the speed and red light camera business in Maryland when it purchased RedSpeed, Inc last year. Mr Nelson has a great deal of previous experience in speed and red light cameras. According to the press release "Prior to joining Montgomery County Police, Mr. Nelson worked for Affiliated Computer Services (ACS) as a Senior Program Manager responsible for implementation of the nationally recognized Washington, DC speed camera program. Under Mr. Nelson's oversight, the DC program grossed nearly $27M annually for the city's traffic safety efforts." In his position as director for Montgomery County's Automated Traffic Enforcement Division, Nelson was in a key position to ensure the expansion of the County's Automated Traffic Enforcement program which which has paid tens of millions of dollars in fees to Affiliated Computer Services(ACS) under the county's contingent fee speed camera contract (currently being challenged by a class action lawsuit for allegedly violating state law). The press release credits Mr. Nelson with "acquiring nearly $35M in revenue" in the first 2.5 years he managed the Montgomery County Red Light Camera program. Mr Nelson has also been able to aggressively pursue expansion of Speed camera laws, which both Brekford and ACS will benefit from significantly: "Mr. Nelson's charisma and expertise have afforded him the opportunity to represent the Automated Enforcement industry on key legislative issues. He was instrumental in crafting the automated speed enforcement program in Charlotte, North Carolina and provided legislative testimony for NC, MD and DC governing councils. Mr. Nelson's experience in legislation along with his congressional testimony has been the essential factor to the adoption of the first speed camera legislation in the State of Maryland (Montgomery County). This continued legislative work ultimately resulted in what is now a fully adopted statewide law." Based on Brekford's press release, Mr Nelson no doubt has a promising and lucrative career ahead of him: "the U.S. photo enforcement industry is projected to be doing an estimated $150M per year in revenue and total available market could be 35,000 intersections in the near future, which would make it a nearly $1B industry in the U.S. alone."